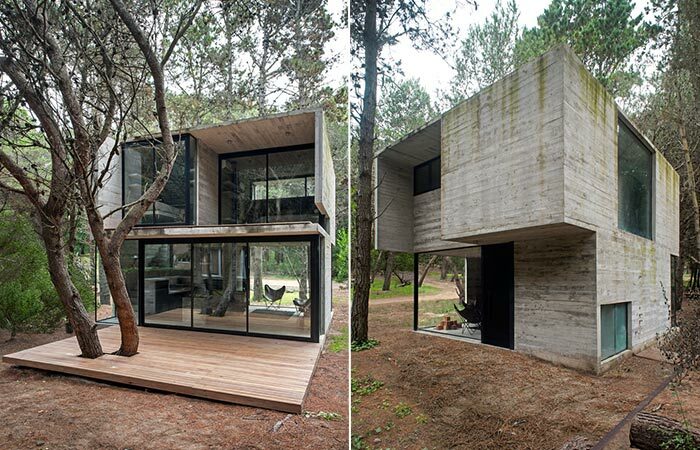 Located in the seashore town of Mar Azul near Buenos Aires, H3 House is built on a 210 square meter plot of land near the sea. The house was designed for three sisters with a limited budget whose goal was to get a peaceful summer house in a natural surrounding. This minimal contemporary home is in touch with its surrounding and a perfect holiday retreat house. 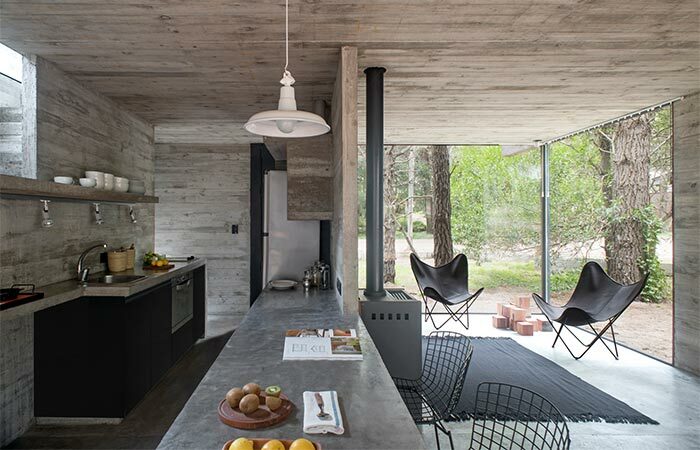 With just 75m2, H3 House was smartly constructed as a compact block made from exposed concrete, featuring a wooden porch and a few wooden elements on the exterior. 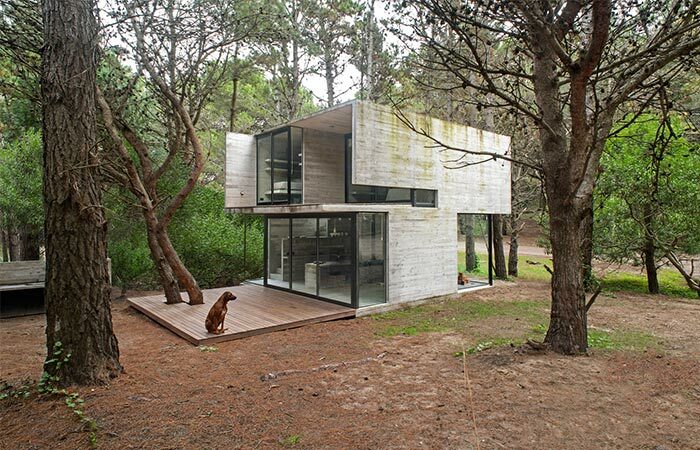 H3 House is built on a lot near the sea, in the Argentinian coast town of Mar Azul near Buenos Aires. Built on a small lot, the house has just 75m2. It was constructed as a holiday summer house for three sisters. The ground floor is where the kitchen, dining and living area are, as well as the stairs leading to the top floor. The master bedroom, a second bedroom with a cabin feel, and a bathroom are located upstairs. As for the interior, the furniture is just as minimal as the rest of the house. The ground floor is entirely connected and serves multiple purposes. This is where the dining, living area and kitchen are. The master bedroom, along with one more bedroom is located on the top floor. 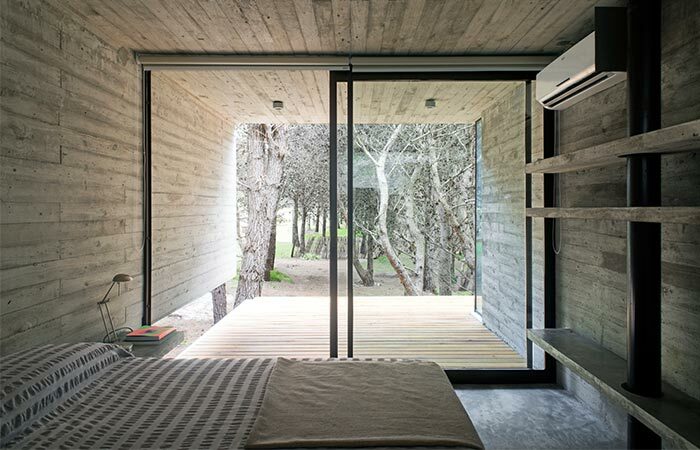 Because the house is surrounded by trees, there wasn’t a need to reduce sunlight inside. This is the reason behind big opened glass windows that cover up almost entire walls. 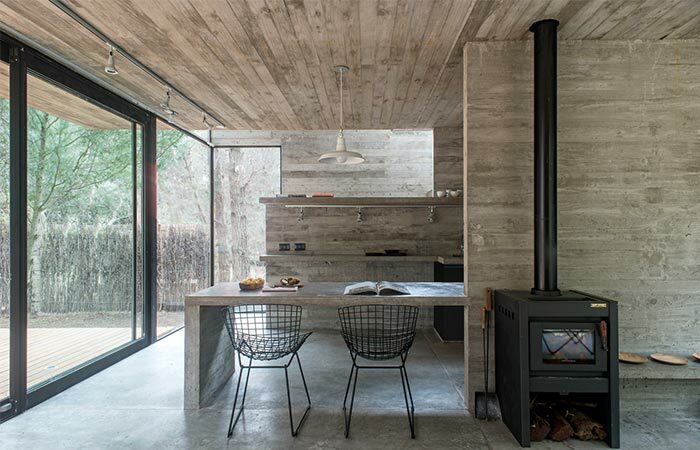 The side walls are kept concrete, with the desire to open up the front of the house, as well as to get a more intimate atmosphere from the side, neighbouring lots. 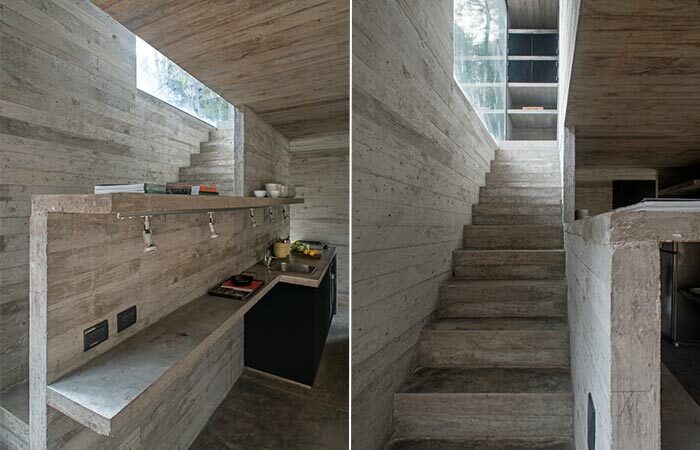 Also, the entrance to the house is sheltered by the volume from the top floor that houses the bathroom. 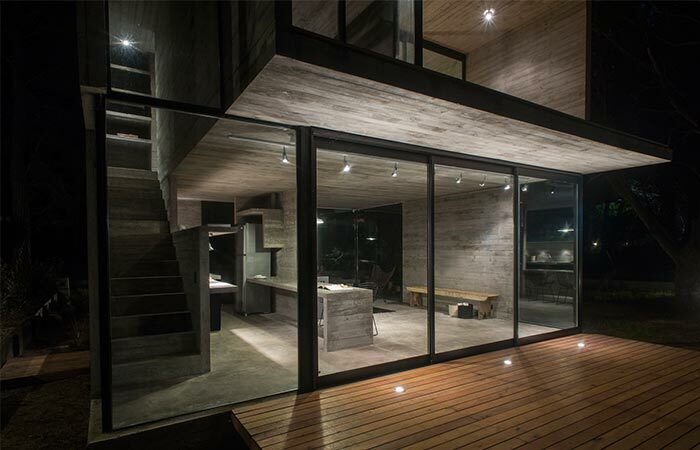 H3 House features exposed concrete, wooden elements and floor to ceiling glass windows. The staircase leading to the top floor.